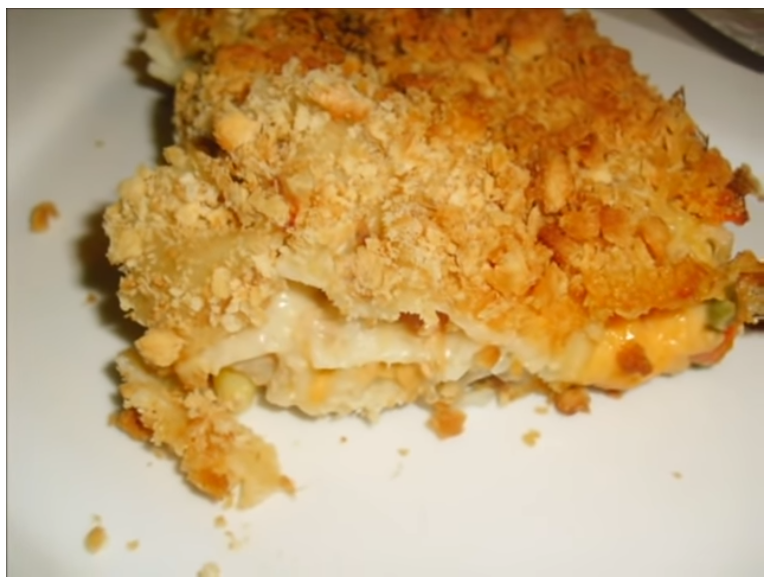 This tuna noodle casserole recipe will easily feed a family of four hungry people. We tweaked this recipe to accommodate mid-sized families so that you can prepare a quick and easy meal. We realize that in today's busy, hectic, and fast past society it can be a real challenge to feed the family. That's why we always look to include a few recipes for busy cooks like you who really look forward to placing home cooked meals in front of the family. We believed there is no better way to show the family that you care than by fixing home cooked meals. Check out the wonderful recipe we provide below. 1. Cook noodles according to package instructions. Remove noodles from heat, rinse under running hot water and set aside. In a casserole dish combine soup, celery, olives, milk and seasonings. Mix ingredients well then add and mix cooked egg noodles. Now top mixture with bread crumbs and cheese. Bake noodle casserole in center of oven at 375 for about 30 minutes. Remove dish from oven and allow your casserole to cool for about 5 minutes before serving. Serve your freshly baked tuna casserole with fresh vegetables and bread. Also, do not forget to try out some of our other Quick and Easy Seafood Recipes. We hope that you will stop back by often as we continue to add new and exciting recipe each week.